We’re addicted to plastic. A study by the University of Georgia found that from the 1950s until 2015, humans had created 8.3 billion metric tonnes of plastics, with almost 80% now residing in landfills or the natural environment. Alarmingly, this figure is expected to double again in the next 20 years, and almost quadruple by 2050. There’s little comfort in our reuse of plastics, with less than 10% of plastics being properly recycled, and a little over 10% being incinerated. The overuse and treatment of plastic is at a crisis point. Eight million metric tonnes of plastic ends up in our oceans every year, which is equivalent to dumping the contents of one garbage truck into the ocean every minute. This figure is expected to increase to four per minute by 2050. According to the Ellen MacArthur Foundation “the ocean is expected to contain one tonne of plastic for every three tonnes of fish by 2025, and by 2050, more plastic than fish.” You read that correctly; unless we take serious action to clean up our oceans, there will be more plastic waste than fish in the sea by 2050. Saving our oceans is a global problem that requires a global solution. We met with Shilpi Chhotray to talk about her fight against plastic and about sustainability in fashion and lifestyle. Shilpi brings a decade of experience in ocean advocacy and conservation policy with a special expertise in plastic pollution prevention. She is the Senior Communications Officer for the Break Free From Plastic global movement where her work is focused on amplifying zero waste solutions around the globe. 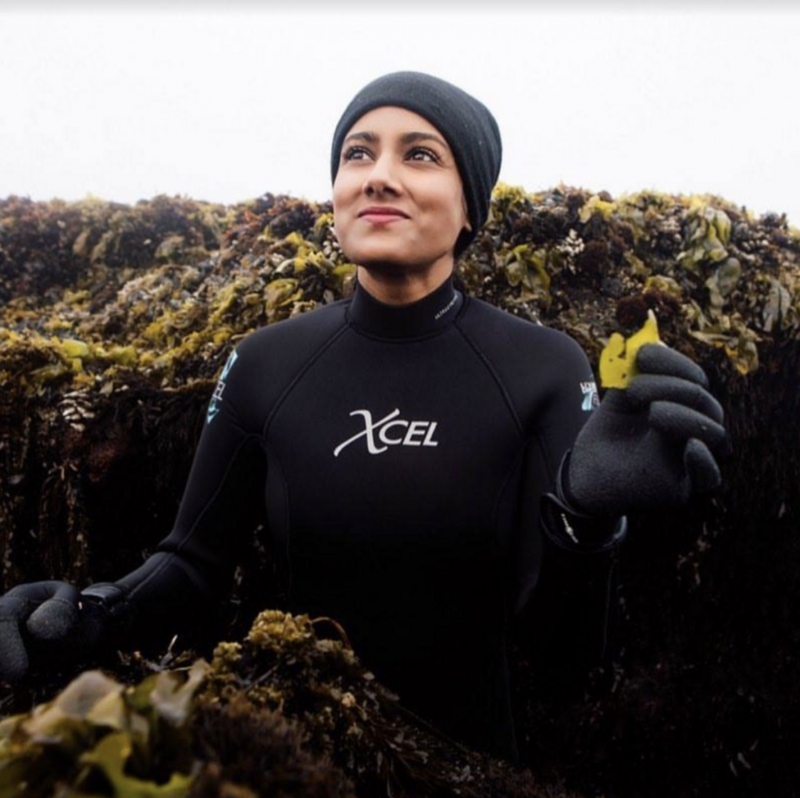 Shilpi is also the founder of Samudra Skin & Sea, an ocean-inspired skincare line featuring wild harvested, local seaweed. Her goal is to bring key issues facing the ocean to everyday consumers and encourage other brands to make our blue planet a social responsibility focus. Shilpi loves living in Oakland, California, where she spends her spare time hiking, practicing yoga and exploring California’s biodiverse coastal ecosystems. Shilpi, where does your commitment to the planet come from? It was a study abroad trip to Cairns, Australia, home to the Great Barrier Reef, when I was a college undergrad at Virginia Tech University. Being exposed to the human impacts on the environment, specifically the ocean, sparked a lifelong desire to protect our blue planet. I took my interest a step further and focused my efforts in graduate school on marine protected areas, or creating underwater national parks to safeguard earth’s most precious resources. After being introduced to the rocky intertidal ecosystem — and the magical world of seaweeds — I was inspired to study marine organisms through underwater exploration via scuba (and a human-powered submersible in a later position!). You advocate against plastic, especially when used in cosmetics. Tell us a little bit about the fight you’re leading. My work in plastic pollution has been eye-opening, to say the least. I am the Senior Communications Officer for Break Free From Plastic, the global movement working to stop plastic pollution for good. To date, Break Free represents over 1,060 organisations around the globe. In September 2017, I traveled to Manila, Philippines to amplify the work of some amazing organisations fighting plastic pollution under the Break Free From Plastic banner. We conducted an 8-day coastal cleanup and brand audit in Freedom Island, a critical habitat for migratory birds, to identify the most polluting brands. Turns out, six international brands are responsible for roughly 54% of plastic packaging pollution found there. Among them are corporate behemoths like Nestlé, Unilever and Proctor & Gamble — parent companies of the brands sitting in our kitchen and bathroom right now. My time in Manila made it very clear that we need to use and advocate entirely for materials that are easily repurposed and reusable. Let’s say I want to adopt a completely plastic-free lifestyle. What is your advice? What should I begin with? There are greener alternatives that are better for us and the planet. Personally, I’ve transitioned to shopping for groceries in bulk, buying less, and a lot of DIY. Even slowing down and dining in can help reduce single-use plastic waste, and it’s more fun too! How did you get the idea of using seaweeds for cosmetics? I sort of fell into seaweeds use in health and wellness through my research on the conservation and socio-economic aspects of the plant. A trip to India in 2014 opened my eyes to Ayurveda, sustainable seaweed farming, and empowerment of marginalised communities (often women), which sparked a desire to create the line. A lot of people are talking about the benefits of seaweed, which is considered a superfood. Samudra is taking this a step further by utilising seaweed in organic skincare while benefiting people and the planet. What are the main properties of seaweed? Seaweed is chock full of vitamins, antioxidants, and over 60 trace minerals that feed and nourish skin. 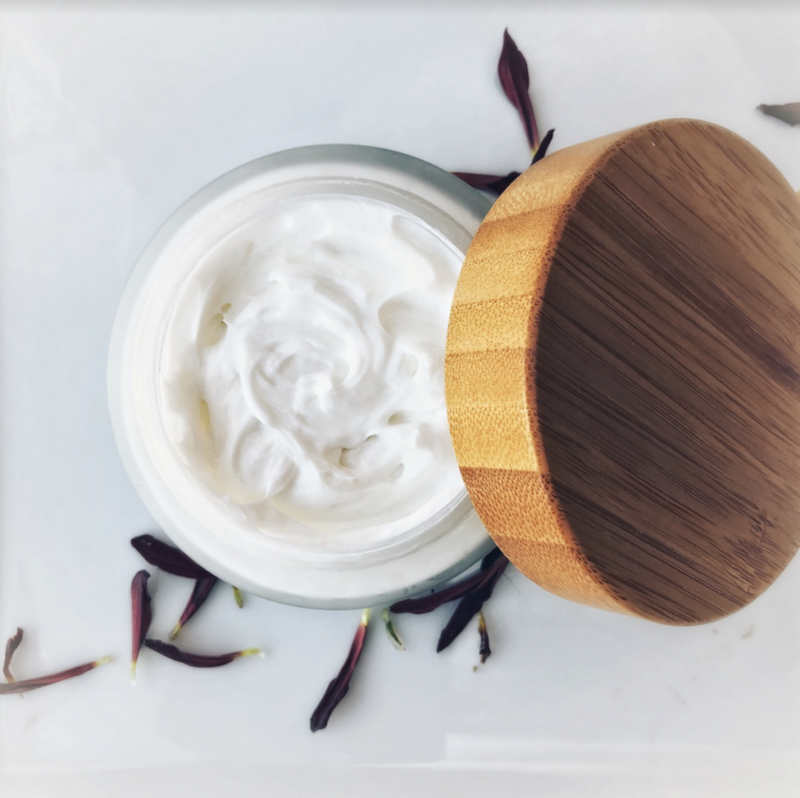 We use edible grade kelp which is grown in the nutrient-rich waters of the Mendocino coast, California, which is especially healing for dry skin and skin conditions like eczema and psoriasis. What are your five favourite sustainable brands in fashion and lifestyle? 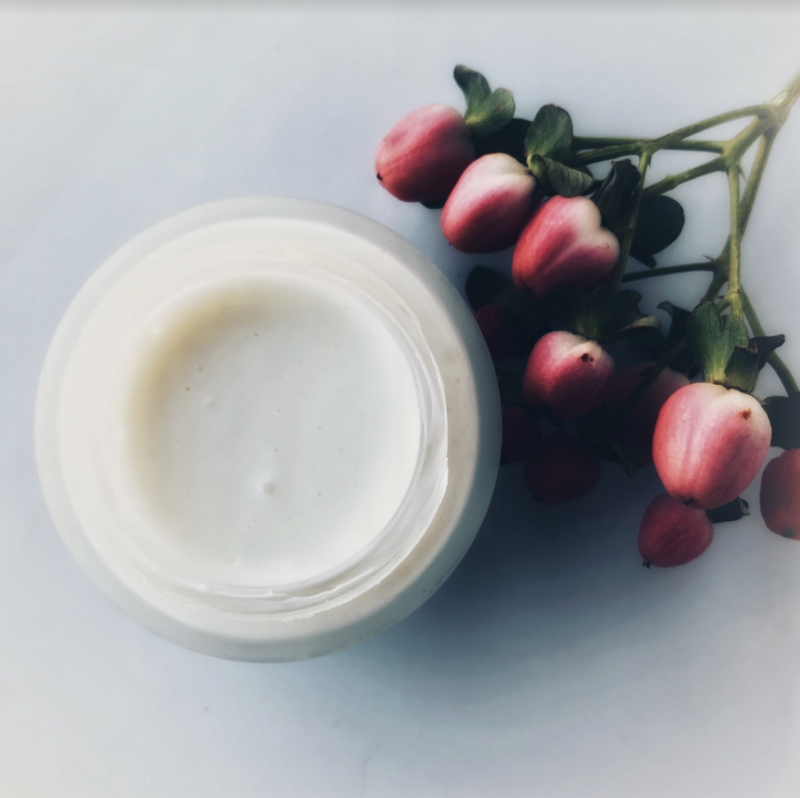 I’m part of a community that finds, refines and spreads the most promising new ideas and products for living sustainably. It’s called Impact Mill and these are some of the brands that are part of the collective, including Samudra Skin & Sea! Samudra Skin + Sea — stay clean and hydrated with wild seaweed, not micro-beads and unnecessary chemical additives. 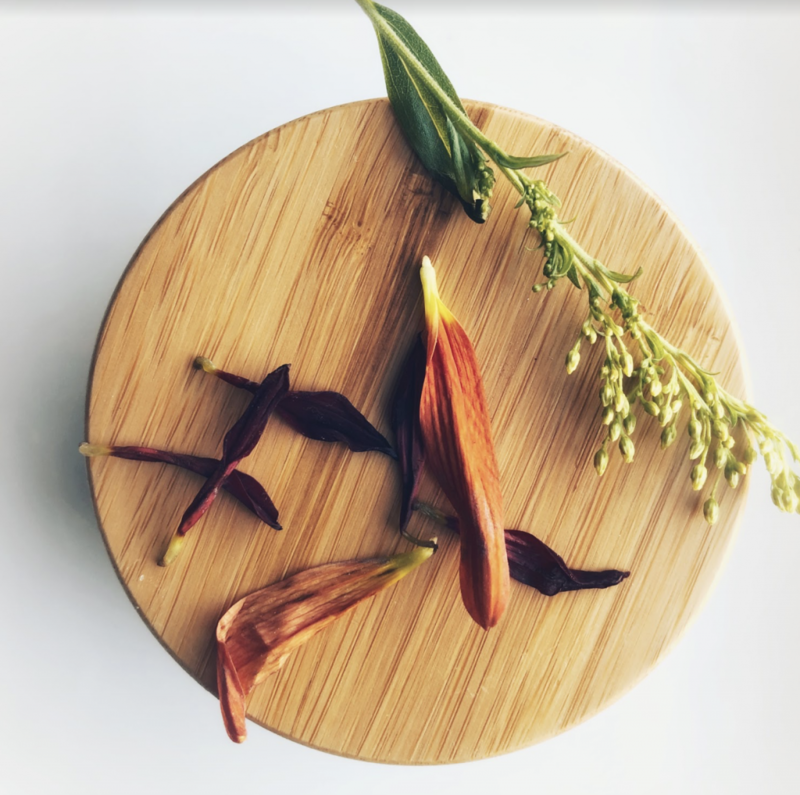 Healing line of plant-based products feature wild seaweed gathered by hand. Their multi-purpose Sea Soap helps avoid unnecessary products and packaging. Meliora Cleaning Products — plastic-free cleaning system that uses a common soap as fuel. Invest once in packaging, save money, clean better. Stasher Bags — a reusable, easy to clean alternative to ziplocs made from abundant materials (silicone). It improves on older alternatives because you can clean in the dishwasher, boil and microwave. Hummingbird Glass Straws — made in the U.S., these pyrex straws come in various widths and sizes. Reformation — clothing brand that follows the lifecycle of clothes- everything from growing textile fibres and making fabric, dyeing, moving materials, manufacturing, packaging, shipping, garment care, and recycling clothes when you’re done with them.